Beijing is the capital of China, and it’s also the political and cultural center of China. Moreover, the standard Mandarin Chinese has developed based on Beijing dialect. A taste of the authentic Chinese culture: Being the cultural center of China, Beijing offers foreigners a good opportunity to explore the authentic Chinese culture. No matter whether you are a fan of Beijing opera, or you are interested in the unique “Hutong Culture” of Beijing (“hutong” means alley), or you would like to see a traditional Chinese wedding with your own eyes, Beijing has everything you need to enjoy the fascinating Chinese culture. Therefore, if you choose to come to Beijing to study Chinese, you’ll definitely be able to expand your horizons in the Chinese culture. Developed transportation system: Beijing has a well-developed transportation system, especially when it comes to the underground network. The Beijing subway network consists of 19 lines (including one Aiport Express) with a total length of 574km. It connects the city center with the suburban areas and all major tourist sites within the city. Ticket price ranges from 3RMB (0.48USD) to 7RMB (1.02USD) depending on the distance. Life & Entertainment: If you decide to come to Beijing to study Chinese, you will never get bored as there are so many things to do in Beijing. If you are into culture and history, there are a couple of museums such as the National Museum of China that you definitely want to visit. If you like to go out with friends and have a drink together, then Sanlitun, the modern shopping & dining complex is the right place to go as it’s famous for its “pub street” in Beijing. Pollution: Beijing is one of the most polluted cities in China. Due to its location, which is close to Inner Mongolia, the city suffers from sandstorms from time to time. However, more serious consequences were caused by the chemical factories situated in the suburban areas of Beijing and exhausted gas emitted by automobiles. In 2016, the air quality of only 198 days was marked “non-polluted”, and the air quality of 39 days was considered “seriously polluted”, with PM2.5 being the main pollutant. Up till now the local government still hasn’t taken sufficient measures to control air pollution, which poses a big problem for people’s health. Overpopulation: Just like Shanghai, overpopulation is one of the major problems in Beijing. Beijing’s permanent population had almost reached 22 million by the end of 2016. In additional to local dwellers, people from all over China are coming to Beijing to look for better life. It’s a dramatic scene to see where people need to be pushed into the carriage by subway station stuff at peak hours. So, if you would like to study Chinese in Beijing, be prepared for the crowds. Traffic: Nowadays more and more Chinese people have their own cars, and Beijing is for sure not an exceptional case. In Beijing, if you choose to drive to your workplace, then it’s common that you spend one to one and a half hours on road. Fortunately, Beijing government has started to restrict the use of automobiles in order to create a better environment and alleviate traffic congestion. That’s Mandarin specializes in teaching Mandarin Chinese language with schools in Beijing and Shanghai, as well as online. Established in 2005, That’s Mandarin welcomes over 3000 students every year from various countries and help them achieve their learning goals using effective in-house developed teaching methods such as Link Word and Story Telling. Students also have access to That’s Mandarin’s online integrated learning platform called Smart Lingo to complement their in-class lessons. That’s Mandarin offers various language programs that can be tailor-made to students’ needs and interests: Intensive Chinese 1-on-1 & small group class, Part-time Chinese 1-on-1 & small group class, Business Chinese, etc. That’s Mandarin’s Beijing Campus is located in Dongzhimen, a central area in Beijing. Beijing Language & Culture University: One of the most prestigious universities in China for studying foreign languages. It’s a perfect place for overseas students to study the Chinese language and culture as Chinese Proficiency Test (HSK) was designed and developed by Beijing Language & Culture University. Beijing Foreign Studies University: The best university for international studies in China and is famous for its multinational culture. Beijing Foreign Studies University offers comprehensive Chinese language courses to overseas students and has rich experience of teaching Chinese as a foreign language. Capital Normal University: One of the two major normal universities in Beijing. Its College of International Education offers short-term and long-term Chinese language training for international students. Overseas students also have the opportunity to obtain a degree in the Chinese language from Capital Normal University. Chinese Summer Camp: Chinese Summer Camp (for children aged 8-17) is designed to introduce and strengthen kids’ understanding of the Chinese language, culture and history through interactive Chinese lessons, cultural activities and exciting field trips within Beijing and some other fascinating Chinese cities. Five types of Camp Program (Class-only Camp, Day Camp, Full Camp, Homestay Camp and Family Camp) are on offer, and kids can choose to join one of our two-week and four-week programs. Chinese Summer Camp starts on June 12th and ends on August 20th. Confucius Institute: The Confucius Institute Summer Camp Program is organized jointly by Confucius Institute Headquarters and Office of Chinese Language Council International (Hanban). It offers pupils a good opportunity to experience authentic Chinese language and culture. In Beijing, the Confucius Institute Summer Camp Program is often operated by Confucius Institutes from different countries jointly with top universities in Beijing, such as Beijing Foreign Studies University, Beijing Institute of Technology, etc. In addition to studying Chinese, pupils can also visit tourist attractions in Beijing and make new friends. China School Trip: China School Trip has 9 years of experience organizing school trips for kids and teens. Three types of school trips are on offer: 1) Play & Explore Trip, which includes a mix of sightseeing tours and cultural activities with plenty of play and a lot of exploration in Beijing; 2) Learn, Play & Explore Trip, which is an all-in-one trip that includes similar amount of Chinese lessons, cultural activities and field trips in Beijing; 3) Intensive Chinese Study, which focuses on in-class Chinese lessons and cultural activities, with some sightseeing field trips in Beijing. Leisure World Education Tours: Leisureworld specializes in offering students first-class educational school trips across the globe including the USA, China, Australia, etc. The two main destinations in China are Beijing and Shanghai. Leisureworld’s school trips are tailored to suit students’ educational requirements with different subjects on offer, such as history, art, and geography, students can choose a specific subject they are interested in. When you’re studying in Beijing you’ll have a lot of chances to practice Chinese with local people and this will indisputably allow you to quickly improve your Chinese language skills and help you ace in your Chinese learning journey. Choosing to study Chinese in Beijing is a big challenge for a foreigner, therefore we would like to recommend the above schools to help you get the most out of your time in Beijing. 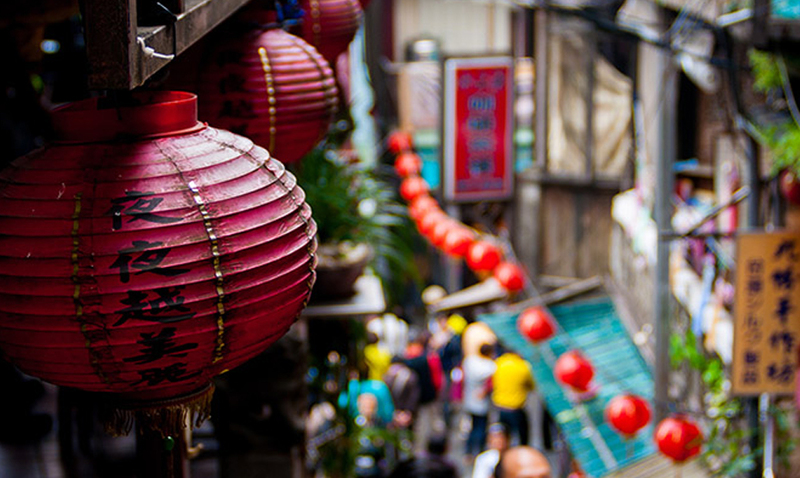 Want to find out about more cities you can visit to study Chinese while in China?Click here to read the pros and cons of the best universities, private schools and Summer Camps in China. The HSK or 汉语水平考试 (hànyǔ shuǐpíng kǎoshì) is an official examination designed to assess the Chinese language proficiency of non-native speakers from beginners’ to advanced levels. It is an internationally-recognised standard for assessing your Chinese language level and the result can be used to apply for the Confucius Institute Scholarship (CIS). It is also accepted by universities in China as a proof of Chinese proficiency.